Stegosaurus is the armor dinosaur with spiky tail and plated back bone, but no one are pretty sure that these weapons could protect Stegosaurus from the predator, because how silly it is. Stegosaurus’ famousness is how small of its brain comparing with its body. 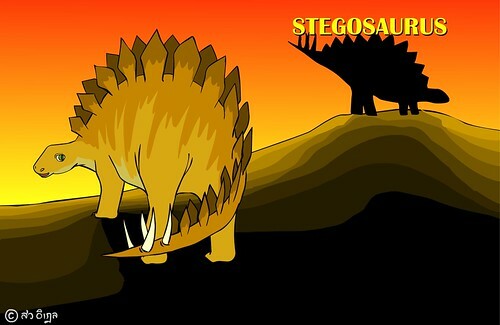 This is the reason that Stegosaurus is considered as the retardest dinosaur. Roll mouse over the low-right part of the page, you will see the information. Roll mouse over the dinosaurs, you will see its movement.